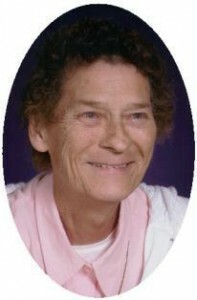 Joan C. Kontny, 75, of Fredonia Avenue in Fredonia died surrounded by family at her residence on February 4, 2009. She was born June 29, 1933 in Green Bay, Wisconsin to Robert and Catherine Mercier Pasterski. Growing up in Little Suamico and Green Bay, she married Richard Kontny of Chicago, Illinois on June 21, 1955 in Green Bay. In 1978 they moved to Fredonia. Joan was a homemaker and active in her parish, St. Rose. She would Help out at at school and cook lunches. She was a grandma’s grandma and took great pride in her grandchildren. She loved to share rides with them on her scooter. She enjoyed playing Yahtzee, tending to her flowers, and loved the animals in her yard, often feeding the birds and watching the deer and hawks. Her husband Richard preceded her in death November 26, 1989. Reverend Richard Fleischman will celebrate a Mass Of Christian Burial 7 pm Friday, February 6, 2009 at Holy Rosary Parish – St. Rose Chapel, 315 Fredonia Avenue, Fredonia. Interment St. John Cantius Cemetery, Sobieski, Wisconsin. Visitation 4 – 7 pm Friday AT CHURCH. Memorials to the Pineview Rehabilitation Center, Little Kohler, WI, St Rose School or plant a tree.